New Taipei City’s Smart Energy Management Community began operation today (August 30th, 2018) at Fengjing Cuifeng (峰景翠峰) Community in Sanchong and Taipei Bo-er (台北菠爾) Community in Yonghe, both are private-owned apartment complex. 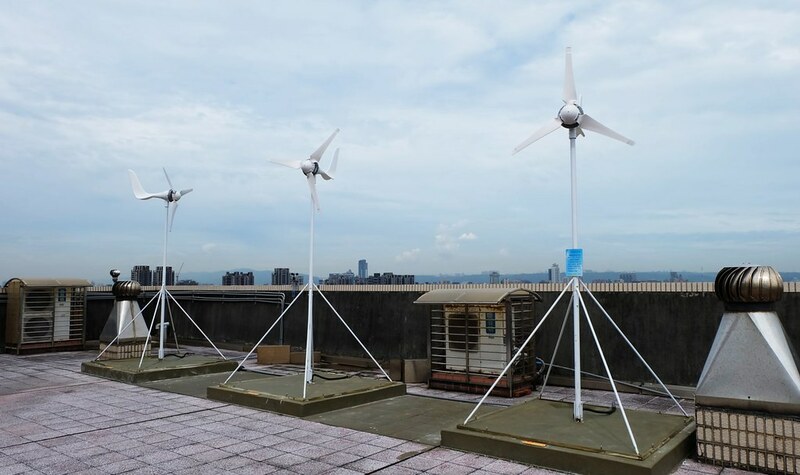 With supports from New Taipei City Government and suppliers, micro smart grids incorporating solar panels and wind turbines, energy storage, and energy saving were installed. 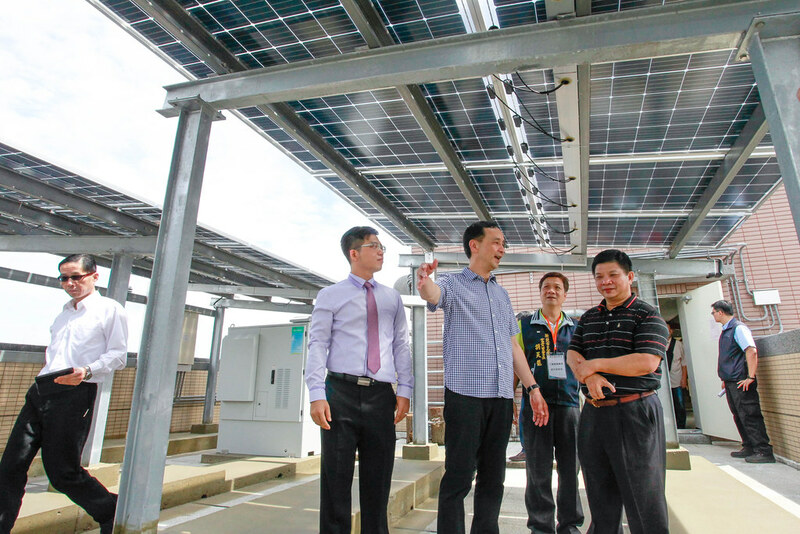 More than 14% energy will be saved annually in the City Government’s estimation. 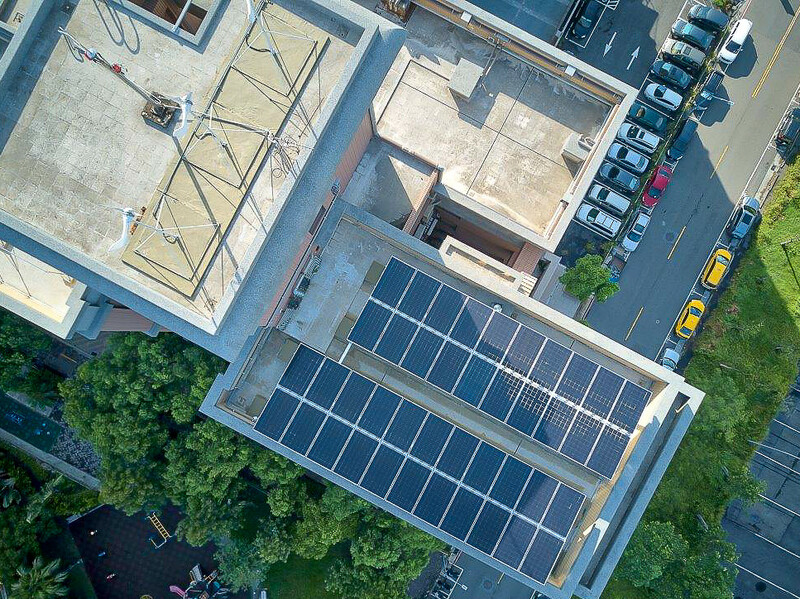 Two communities participate New Taipei City’s Smart Energy Management Community Demonstration Project. 12.6kW solar power panel, 3kW small wind turbine, 60KVA / 5kWh battery for energy storage and 5kW fuel cells were installed in each community. Each complex has 30 tenants installed with a smart meter. 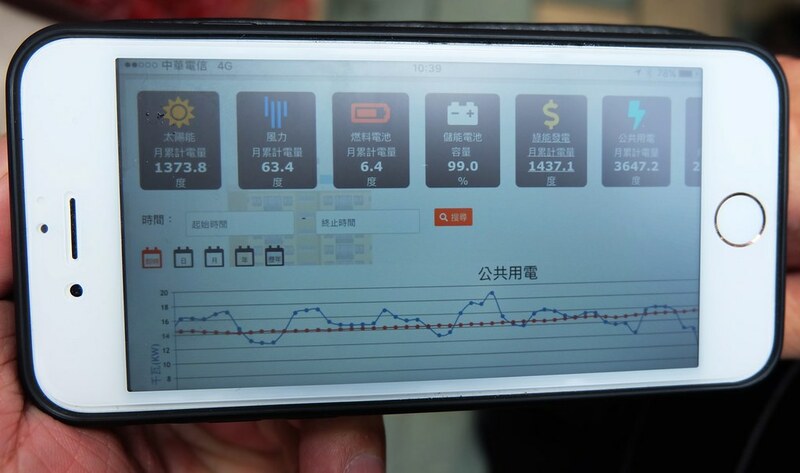 A user can a smartphone app to keep track of energy use information and analyze the data in real time. All tenants of these complexes will install a smart meter by next year. During the on site visit, Chu asserted that New Taipei City is the winner of Taiwan Power Company (TaiPower)’s energy saving competition two times in a roll. However, there are something more that can be improved. Smart Energy Management Community should be promoted to the rest of New Taipei and all of Taiwan. He also pointed out that to achieve this goal, residents’ willingness is the key to old buildings while laws and regulations are the keys to new buildings. Chu complimented the Smart Energy Management system incorporates clean energy, energy storage, and save energy with scientific methods. If each community, factory, and consumer is willing to join, 15 to 20% energy can be saved. In this way, the TaiPower will not need to upset about energy dispatch and there will be no need to fight for which energy source is cleaner, safer. Liao Shih-Wei (廖士煒), Head of the Green Energy Division in the New Taipei City’s Economic Development Department, pointed out that New Taipei City’s Smart Energy Management Community is more challenging since it work with existing communities. Wind power, fuel cell, and interactions between the residents and smart meters are also incorporated in this project. Through daily and weekly reporting, the residents understand energy better and then start to save energy. 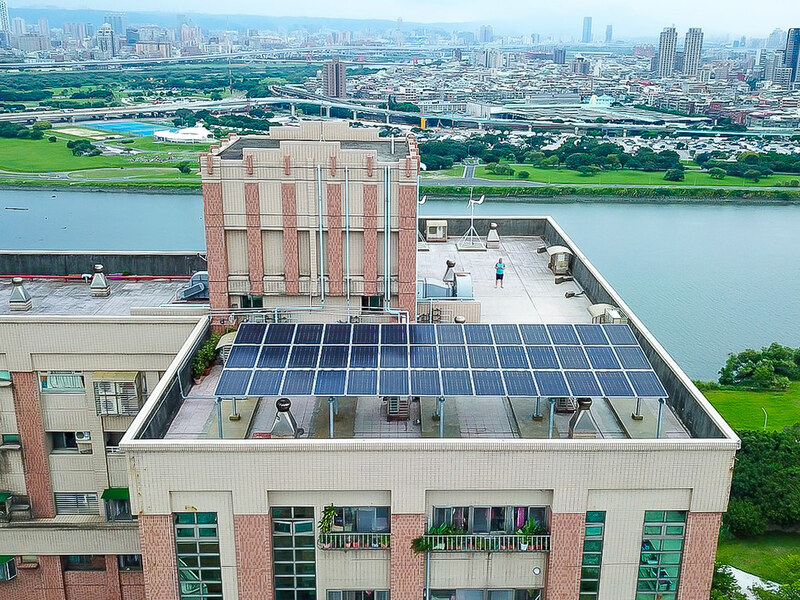 These make New Taipei City’s Smart Energy Management Community different from Taipei’s Xinlong Public Housing (興隆國宅) where also utilizes smart grids. Taipei Bo-er Community, a 313 units complex, is located on Yonghe’s Huanhe West Road. It is next to a river and there is no buildings or maskings in the neighborhood - make it a first choice to install wind power and solar panel. The Principle Investigator, Joseph Chang of Chung Hsin Electric & Machinery Manufacturing Corp., estimated that the solar and wind power system can generate 15,800 kWh per year, i.e., 1,317 kWh per month - which accounts for 21% of the building’s total electricity consumption and NT$60,000 will be saved per year. If all tenants install smart meters in their unit, extra NT$50,000 will be saved by taking full advantage of time of use rates. Fengjing Cuifeng Community, a 79 units complex, is a ten-year-old community. 37% of its public electricity consumption will be provided by green energy facilities, NTD$ 4,000 can be saved per month. Chen Ming-fu (陳明福), Chair of Fengjing Cuifeng Community, said that 90% of the residents agreed the installation plan. Few residents concerned with safety issues of whether a typhoon will blow away the solar panels and hurt people. The firm structure of the installed facilities pacified these worries. These two communities were selected from eleven registered communities. The New Taipei City Government sponsored NTD$ 4.5 million and suppliers offered NTD$ 4.5 million to these two communities to generate their own green energy for consumption..
Liao expressed that pollution and external cost should be considered besides cost-benefit analysis in building an energy system. 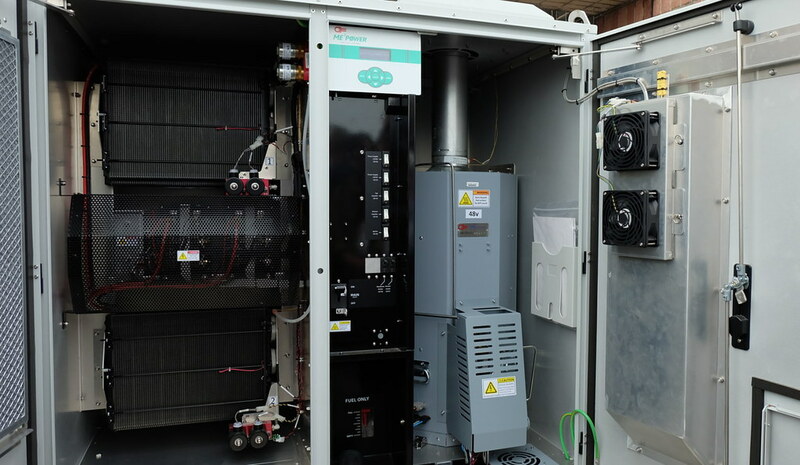 Taking Shenao Coal Power Plant as an example, the cost of installing 16KVA / 4kWh battery for energy storage in all three hundred thousand communities in Taiwan will be half of its cost.